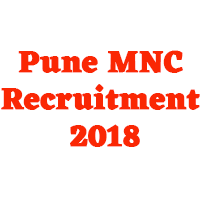 Pune Municipal Corporation has issued notification for the 10th pass govt job to 95 Posts. Submit any candidate who is eligible and wants to apply before 27th November 2018. Eligible and interested candidates may submit their applications on or before 27th Nov 2018. · The age limit of the candidates who apply for the posts should be minimum 18 years and maximum 38 years. · The Department has reserved its decision to give the age relaxation..
· Candidates should 10th pass and Surveyor or Sub Over Course OR equivalent. 17,080/- will be paid as salary. · For Post no.1 Send fully filled application form to “Encroachment / unauthorized construction elimination department, Pune Municipal Building, room no. 119, 1st Floor, Shivajinagar, Pune- 411005”. · For Post No.1 Send fully filled application form to “Office of Chief Fire Officer, Central Fire Service Center, Mahatma Phule Peth, near Timber Market, Pune- 411042 (Application received by post will not be accepted)”. · Candidates will be selected for the above mentioned posts based on the interview. · Written and oral examinations can be organized for these posts. · The best performing candidates can be selected.